Two of many countries in the Middle East that are always on the top as a destination for Overseas Filipino Workers (OFWs). 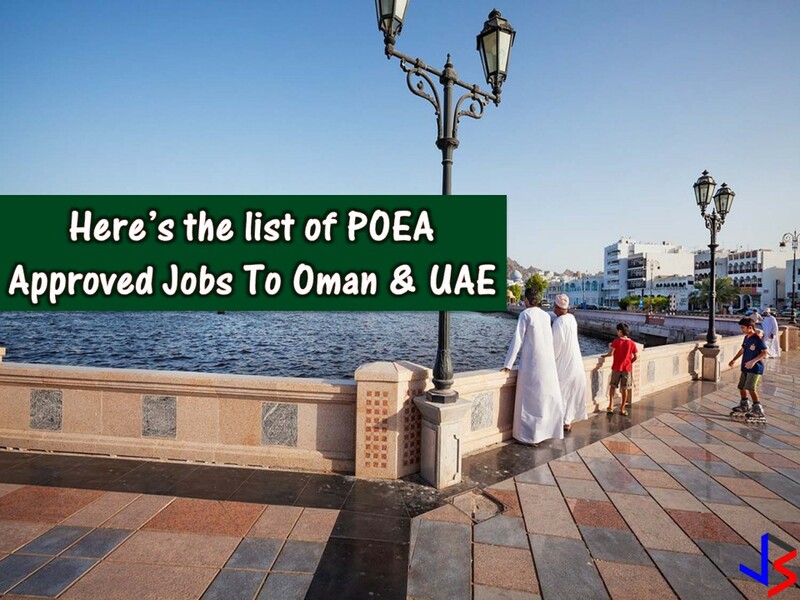 Oman and the United Aram Emirates are now hiring for hundreds of OFWs who can work in different fields in their local employment. Indeed this is a great opportunity for Filipinos seeking international employment or work abroad. DISCLAIMER: Please be reminded that we are not a recruitment industry and we are not affiliated to any of the agencies mentioned here below. All the job orders were taken from the POEA database or jobs site and only linked to agency details for easier navigation for the visitors. Any transaction or application you made is at your own risk and account.